Marchello Manni urgently needs your help. Marchello has been suffering from a debilitating lung disease for a long time, but his condition has now reached a very critical stage where he urgently requires double lung transplant to survive. 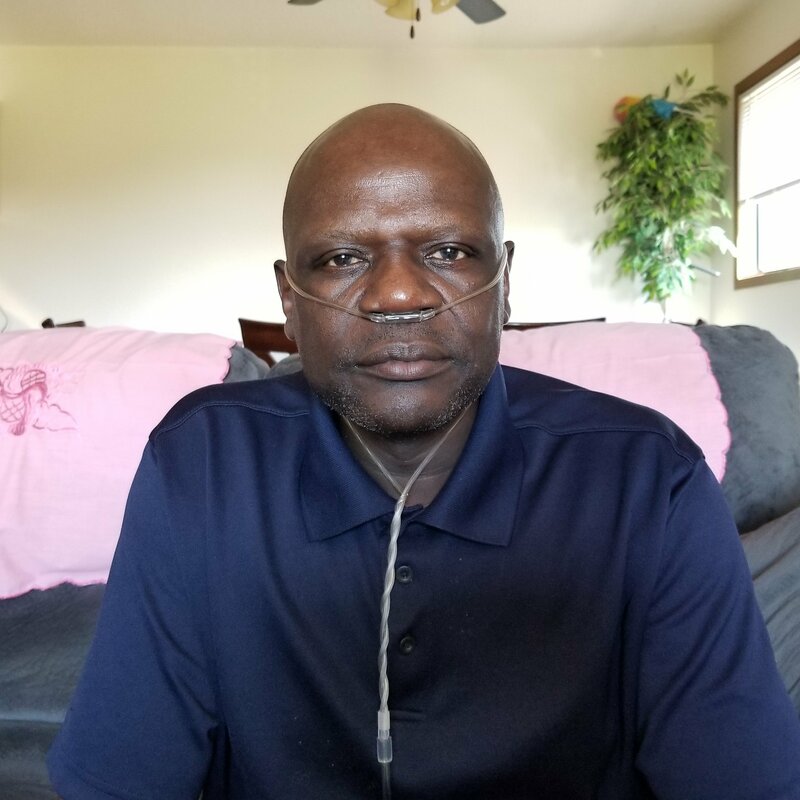 Marchello’s lungs can no longer function adequately without the aid of an external oxygen source; as a result he now relies on a Portable Oxygen Concentrator (POC) to help him breathe at all times. Therefore, in honor of Marchello, we’re appealing to family; friends and well-wishers to join us in fundraising for the nonprofit Help Hope Live to help with crucial expenses Marchello will face before and immediately after surgery. These expenses include, but are not limited to, the cost of medication, travel and accommodation during time of treatment. Marchello is a kind, friendly and a caring man; a loving husband to Angelina and a friend to many in the community. As a man of faith, Marchello loves going to church even when his health wouldn’t allow. He always participates in community events and is often willing to offer his help to others unconditionally. But, since the illness took toll on him, Marchello has not be able to carry on doing what he loves most; that is, providing for his family and engaging in the community. Although Marchello has limited health insurance, many expenses related to the transplant are not covered. He will be medically required to temporarily relocate from North Dakota to Stanford, California (where the procedure will take place) for up to three months; and thereafter, to regularly follow up at the post –lung transplant clinic in Stanford. Prior to listing for transplant, Marchello will need to financially prepare for expenses associated with relocation and cost of travel to and from Stanford Health Care. His lodging alone is estimated to cost around $10,000 for the 3 months. Donations to Help Hope Live can help make it possible for Marchello to receive much needed treatment, as well as alleviate the financial burden related to this process. With your generous help, we can save Marchello’s life, offer him the opportunity to regain his full health and spend time with his family and loved ones. We're praying for you, Marchello. I hope you are able to get the transplant swiftly! Sending positive energy and light your way. I wish I could give more! God has not forgotten about you. Stay strong. Marchello, I pray that God's healing hand rest upon you. I trust that by faith you will be healed. May God touch the hearts that will lend help to you to get this procedure done sooner. Praying for you. Here you go Angelina for your husband from Dell, Steph, Tallie, and all of us at Colvingsod Concepts, LLC. may God heal you in Jesus name amen. Isaiah 41:10 be filled with God’s love and healings brother marchelle !! Quick recovering ! My Prayers and thoughts towards you uncle Marchelo. May God’s heading hands be upon you in Jesus name Amen! Best wishes to you Manni. My thoughts and prayers to you for a successful campaign.